Marlene knew she could not provide all the answers to this woman’s cry on her own but as she continued the conversation, God gave her words to share about his love and kindness even in difficult times. After talking a while longer, this woman realized “I have a 3-year-old daughter and I want her to have a better life. I need Jesus! 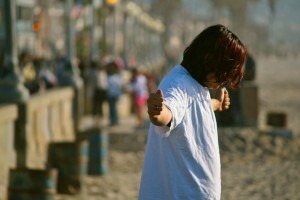 Help me.” Raquel and Marlene were able to guide her in prayer to give her life to Jesus, the Savior of her soul! Tanja is one of the DRIME Paraguay leaders. Please continue to uplift them and the team in Paraguay in your prayers!